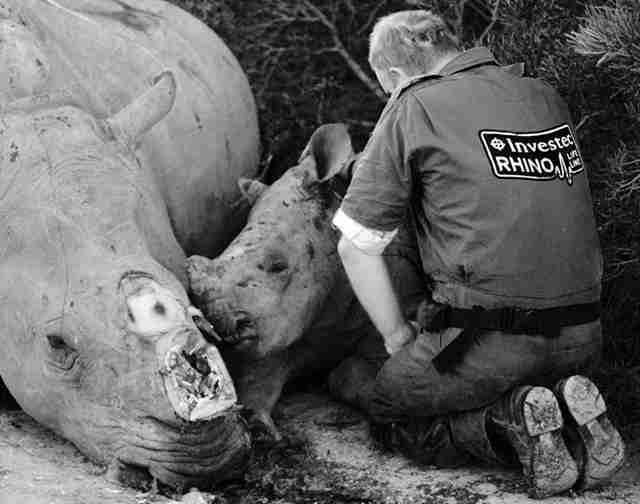 One heartrending image encapsulates the pure sorrow left in the wake of Africa's poachers. 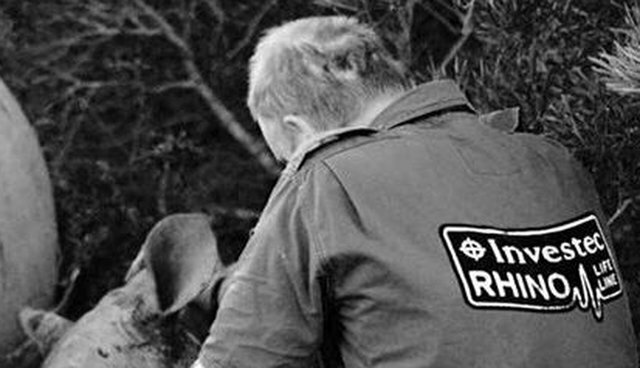 Veterinarian William Fowlds found the body of a mother rhino last week, her young infant lying beside her. Not content with slaughtering her, the poachers had shot her tiny baby at point-blank range as he tried to tend to his dying mother. He had no horn to give them. The photo shows Fowlds bent in grief next to the pair. Even in death, the baby's tiny body is nestled in his mother's embrace.